EUROHA is proud to present you, that at June 19. 2017 CARHA was presentet the CARHA World Cup 2020 tournament, which will take place in Richmond, British Columbia, Canada. We'll be in Richmond from March 29th to April 4th, mark your calendars and start preparing! Once you have made a decision with your team, you can visit the team section of your online profile to complete your rankings! Despite being two years away from the event, we only have a few spots remaining! Demand for the CARHA Hockey World Cup has never been higher and we are so excited to see you all in Richmond. $100.00 CDN (non-refundable) per person hotel deposit must be submitted. Preliminary Hotel Rooming List must be submitted. All remaining monies owing for the Tournament Entry Fee and the Hotel Package are due. Final Team Roster must be submitted with skill level of each player. Visit http://www.thecup2020.ca and click on the 'Register Your Team' button located on the homepage to sign your team up now! 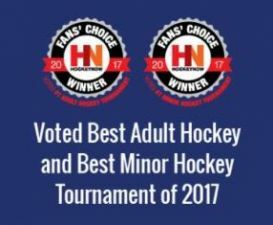 Voted Best Adult & Minor Hockey Tournaments in North America! Any questions feel free to call or email me anytime. 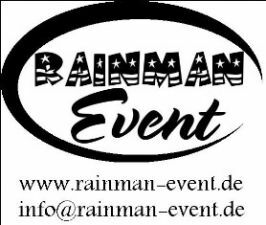 Here the second newsletter with all upcoming events of the Rainman All-Stars in 2018 and a preview for 2019. 03.05.-05.05. Pilsen (Czech Republic) Recreational Tournament with 2 divisions „18+ Teams & 35+ Teams"
12.06.-16.06. Kranevo (Bulgaria) Recreational Tournament „Ice rink 150m from the beach away"
When you're interested or have any questions so please write us. 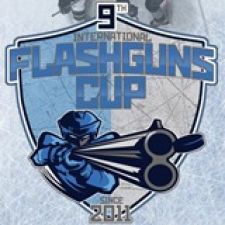 I would like to invite you on the “ 9th FLASHGUNSCUP” in Heist op den Berg(Belgium). The Tournament will be organised on April 19/20 and 21,2019. At this moment 8 teams from Belgium, Holland, Kazachstan, Austria, Finland(2), Slovakia and France have already confirmed!! I hope to see you in April 2019!! 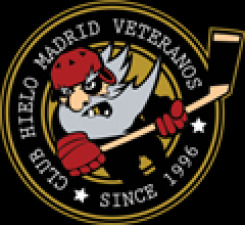 It´s a pleasure for us (Club Hielo Madrid Veteranos) send you, in attached file, the invitation for our 18th. Madrid Classic Tournament 2019, to be held in Majadahonda, Madrid on next June 2019. We hope you and your team could visit us this summer in Madrid. 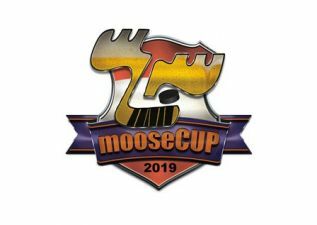 from the 27th to the 29th of September 2019 MIGHTY MOOSE HOCKEY will be hosting the legendary MooseCup again in “Merkur Eisstadion Graz-Liebenau”, nicknamed “the Bunker”! As last years, the number of participants is limited to 12 teams. We would be honored to welcome you. Currently we are planning to stick with last year’s mode, nonetheless we are open for constructive suggestions for improvement. The icering is located in Graz, 10 min by tram from the city center, the hotel and bars are in walking distance. Ice/light/locker room conditions are at professional level. Mode: 12 teams, equal number of games for all teams. IIHF-rules but without bodychecks and icing (few interruptions). Games from Friday 1pm till Sunday 3pm. Group games and playoff games included with the same time on ice for all 12 teams. Arrival Thursday evening or Friday morning if possible! PLC Sports Travel is pleased to announce that registration for the 2nd Annual St. Moritz Cup is now open. 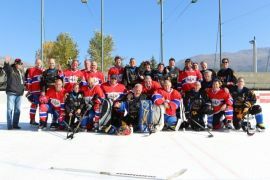 www.stmoritzcup.com The tournament will take place on October 10th to 13th, 2019 at the beautiful outdoor ice rink in St. Moritz, Switzerland. 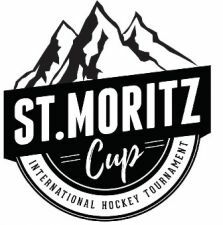 This Premier Hockey Tournament is organized by PLC Sports Travel in partnership with the City of St. Moritz and the St. Moritz Hockey Club. In the spirit of the 1928 and 1948 winter Olympics held in St. Moritz, this will be an international competition. 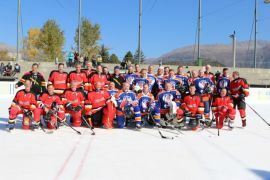 The first St. Moritz Cup was a big success with 8 teams from Canada, Finland, The Netherlands, Germany and Switzerland taking part. The 2nd annual tournament has already registered teams from Canada, the U.S. and Europe for the 2019 tournament. We have teams from China, Japan and Dubai working on their itineraries as well. The 2019 St. Moritz Cup is expanding! This year the tournament offers a 30+ division (8 teams) and a 50+ division (8 teams). The tournament is no body checking and no slap shot above the waist. The tournament is offered for friendship and good international competition. This is a PREMIUM Tournament with first class amenities all around. The tournament committee has booked the Hotel Reine Victoria for the exclusive use of the tournament. The tournament committee has arranged an amazing hotel package that offers a full buffet breakfast and a buffet dinner included in your hotel package. A player’s lounge will be set up in the hotel lobby bar. Packages are available in single, double, triple rooms. The Hotel Reine Victoria also includes access to the Ovavera pool and spa across the street. 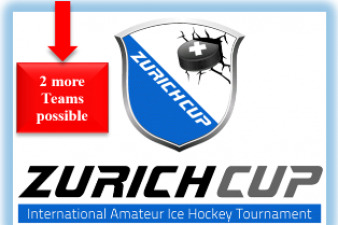 Included in the tournament registration fee is: 5 games, ice flood after each game, certified referees, time keepers with on-line stats and standings, professional international organizing committee, awards for all participants, trophies for winning teams, gifts for all players, and a tournament program. Space is limited so book your spot early. Please see the attached flyer for more information. Teams are encouraged to bring wives, partners and friends along to the tournament. This event will offer a great hockey competition but also a great social affair. OCTOBER 14th- 18th 2019 SOUTH FLORIDA INTERNATIONAL CUP IS GETTING CLOSER! Dear hockey friends, This invitation has been sent to adult organizations/teams across North America, Russia and Europe as an invitation to be part of the cup. Formally known as the Palm Beach Strangers International Tournament, has previously participated by players from NHL, KHL and SM-Liiga. We are happy to inform you, that teams we are inviting internationally from Finland, Sweden, Russia, Canada, France, Slovakia, USA and Czech Republic. 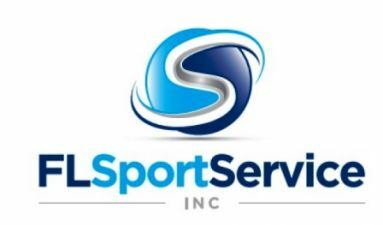 FLSportService International Cup teams are comprised primarily of players with advanced hockey skills. Players previously played at the highest levels of hockey including professional (NHL, KHL and SM-Liiga), NCAA and Juniors around the world. The FLSportService will accept only 12 teams into this high A and B level adult hockey tournament. So, if you want to be a part of it, please be quick, as there are only a few spots available! Copyrigt ©2019 EUROHA, all rights reserved.